With the current political climate it is only fitting that a film like Frank Capra’s Mr. Smith Goes to Washington exists. Capra’s films have always carried a spirit that only shows the most inspiring that classic Hollywood cinema can ever reach and Mr. Smith Goes to Washington is no exception to the rule for it represents patriotism in such an open embrace and more audiences are invited along. As a matter of fact, the very nature of the film is so on the nose for the time it came out, its relevance has only grown so much stronger as years have come by. Nearly eighty years have passed and not a single day has ever managed to age Mr. Smith Goes to Washington rather than make it feel younger. Jefferson Smith is a man of many ideas, but also a very naive one at that. His many ideas are admirable for all he wants is for the betterment of his people, but the world around him is full of cynics who reject his ideas. 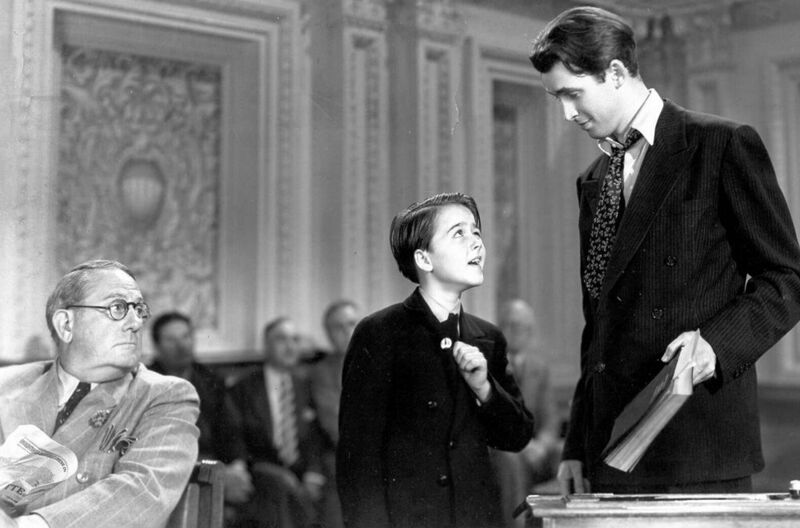 There’s a running idea of patriotism that fuels all of Frank Capra’s film but the best part about the role to which it plays in Mr. Smith Goes to Washington is that it never feels force fed to the point it glorifies a rotten image. As a matter of fact, what Capra intends to display is how even during times of despair there is still a sense of greatness to be found somewhere through its optimistic presentation. Mr. Smith Goes to Washington is a film that searches for optimism during the darkest of times and in its search it has only succeeded. The world that Frank Capra paints in Mr. Smith Goes to Washington carries pessimism all throughout but then there comes Jefferson Smith as played by James Stewart. The wonderful aspects to a man like Jefferson Smith are what take the spotlight as he moves through America in order to allow his own ideas to speak but at the same time he is a man who is easily manipulated by what his authorities are telling him given how naive he is. Yet it’s the fact that all throughout, no matter where he does, he always stood for what he believed in where something so greatly admirable has sprung to life on the screen. Corruption amongst the government authorities is so prevalent and Smith is present as a voice of reason, the sort of story that can be told even about how everything is running within the system today. Even though it was made nearly eighty years ago, Mr. Smith Goes to Washington only has grown more relevant within passing years and it has not aged a day in time. There’s a sequence where Jefferson Smith is moving through his own idols who stood for the greater good on America’s behalf in order to highlight the patriotic atmosphere that Frank Capra intended to present all throughout but by the time the climactic sequence hits suddenly it can show a level of corniness that just adds more on Capra’s end – it just goes to paint a dream of America that citizens of all sorts would ever want themselves to live within. Capra’s ability to balance such pessimism with optimism through a blend of comedy and drama is still something remarkable in this day and age, for it never lost any of its touch and its charm also calls for courage from souls of all different sorts, as presented with the character arc of Jefferson Smith himself. But the fact of the matter is, what sort of dedication to patriotism will always lead for the greater good? Within James Stewart’s marvelous performance that is a question that Mr. Smith Goes to Washington presents for audiences back in its time where it caused an uproar and still runs true even today. If one were to talk about how much is being covered with the treatment of government in such a piece whether it be from mass media’s influence upon the general public or the uproar of citizens, everything still runs true today. It isn’t only coming on behalf of Frank Capra’s direction but Sidney Buchman’s excellent script which creates a perfect balance between comedy and drama and carries a certain flourish through words that only shows true beauty from every last line of dialogue and every long speech. Within a political climate much like the one that we are living in right now, it only goes to show how we need a film like Mr. Smith Goes to Washington. 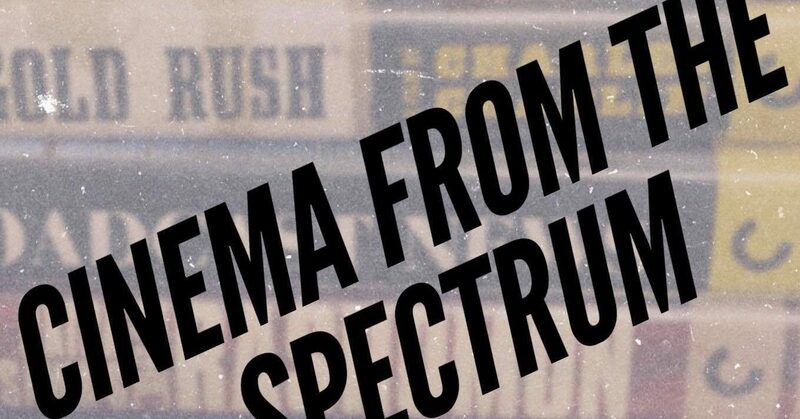 Capra’s film highlights only optimism during dark times and blends the two of them perfectly to create a portrait of America that is so rotten yet so great and it still runs true with how everything is going in this day and age. Capra has made a number of wonderful films during the later points in his Hollywood career and even though my heart goes out for It’s a Wonderful Life or It Happened One Night, the joys presented in Mr. Smith Goes to Washington still provide enough to rank it amongst the greatest of American classics. A film like this only calls out to be seen more if our world moves the direction it does.